This dessert is not a custard, like Crème Burlee or Spanish Flan but rather a fruit-filled batter like cake. Blueberry Lemon Florgnarde is considered a French dessert. As a matter of fact you can use any fruit to make this very splendidly tasteful dessert. If you wanted you could even have this dessert for breakfast. 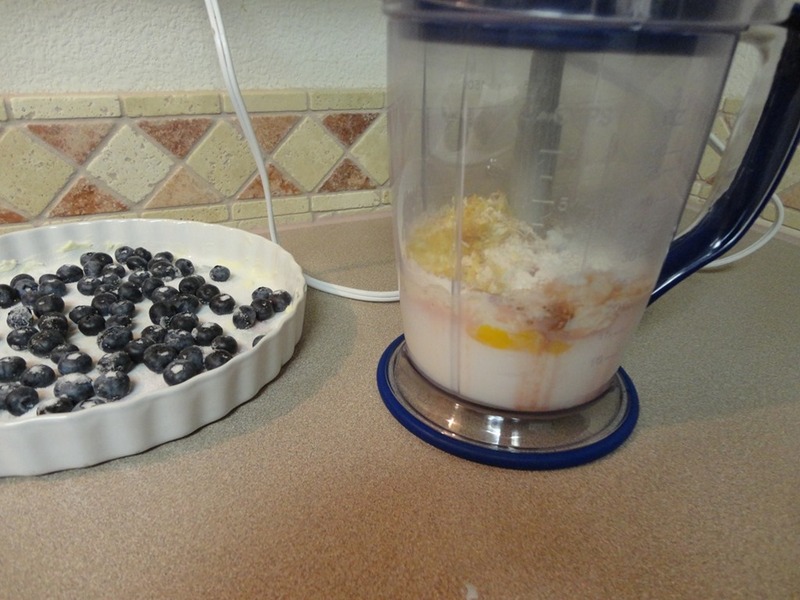 With the eggs, you have your protein and the blueberries provide the complex carbohydrate. It only has 6 tablespoons of sugar in it. Those three eggs provide 3 – 4 grams of protein per serving. 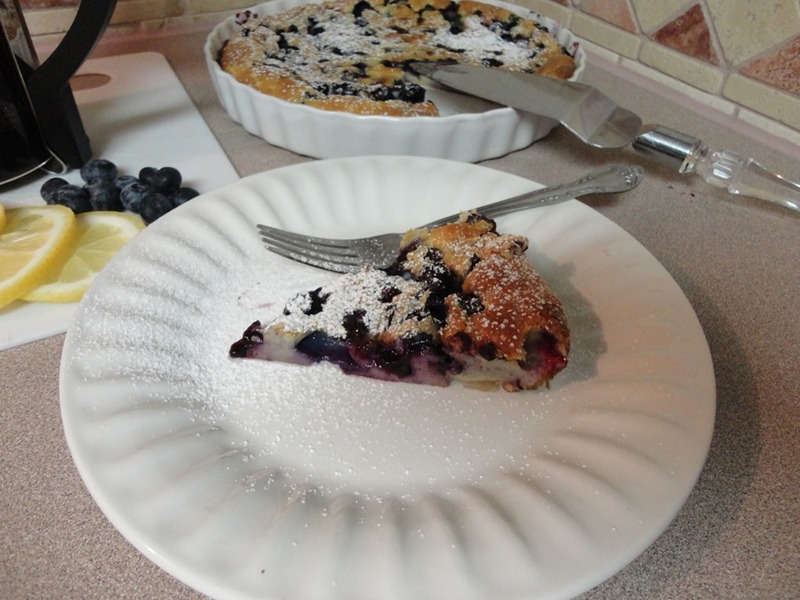 Butter a 9″ pie pan and arrange the blueberries to cover the bottom of the pie pan and sprinkle 3 tbsp. of sugar on top of the blueberries. 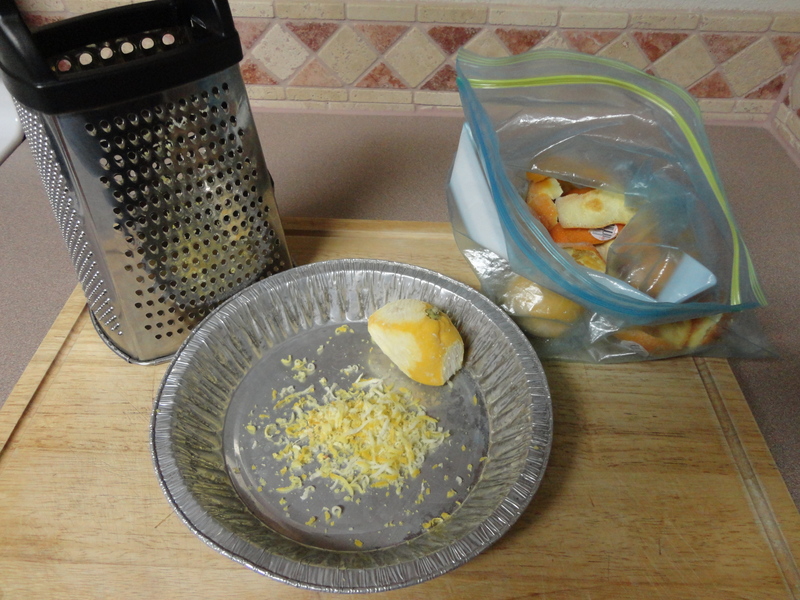 Next, with a grater and a fresh lemon, grate 1 tablespoon of zest. Save the rest of the lemon for another recipe. Cut it in to 4 quarters and freeze it. When you need a few spoonfuls of zest you have it in the freezer, saving time from going to the store for just one lemon. You can do the same with orange peels. I also use the zest of both the citrus peels when I make fresh ginger root tea. Next, with a food processor, combine the remaining 3 tbsp. sugar, eggs, milk, flour, lemon zest, cinnamon, vanilla, and salt, and process until smooth, about 1 minute. 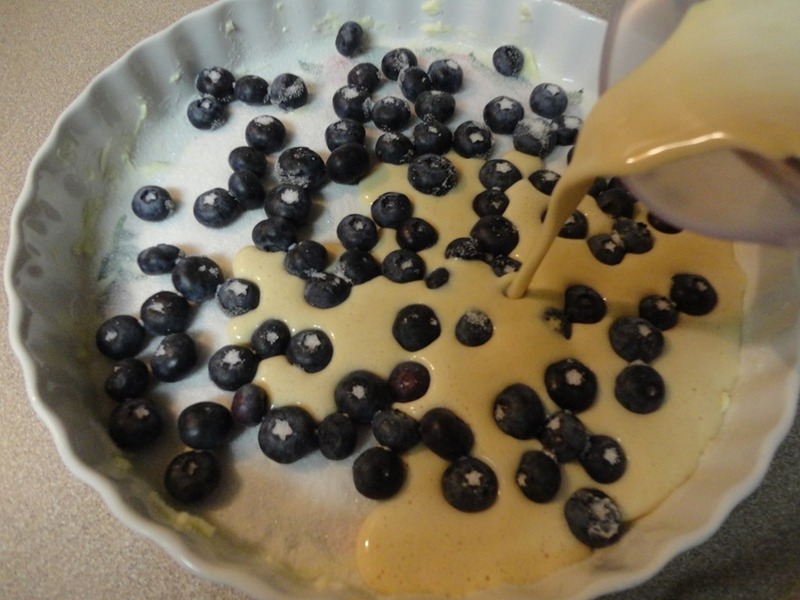 Once all ingredients are processed, pour the batter over the blueberries. Bake in the oven for 45-55 minutes or until firm and lightly browned. Let stand for 5 minutes then dust with powdered sugar. Slice and serve warm. This dessert is very delectable to the palate and goes well with a good cup of coffee. 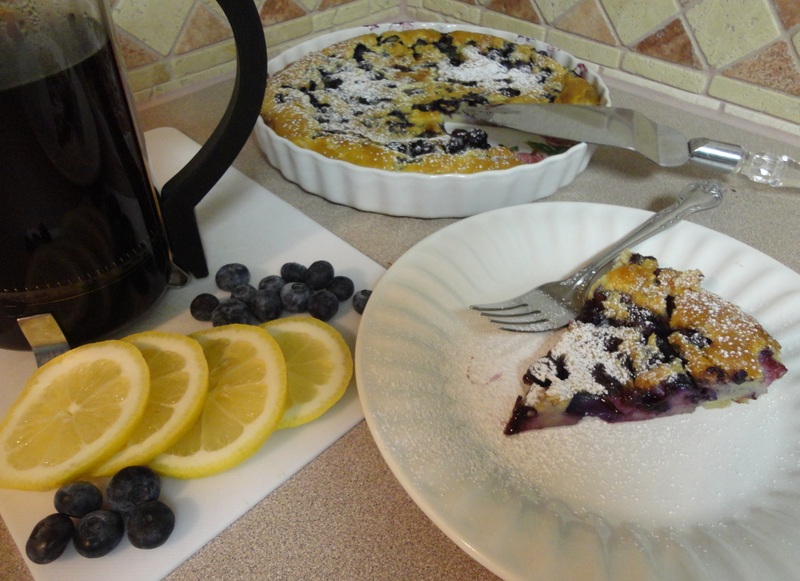 It has a hint of lemon flavor and the fresh blueberries are very juicy. Celebrate Blueberries – A Super Food! 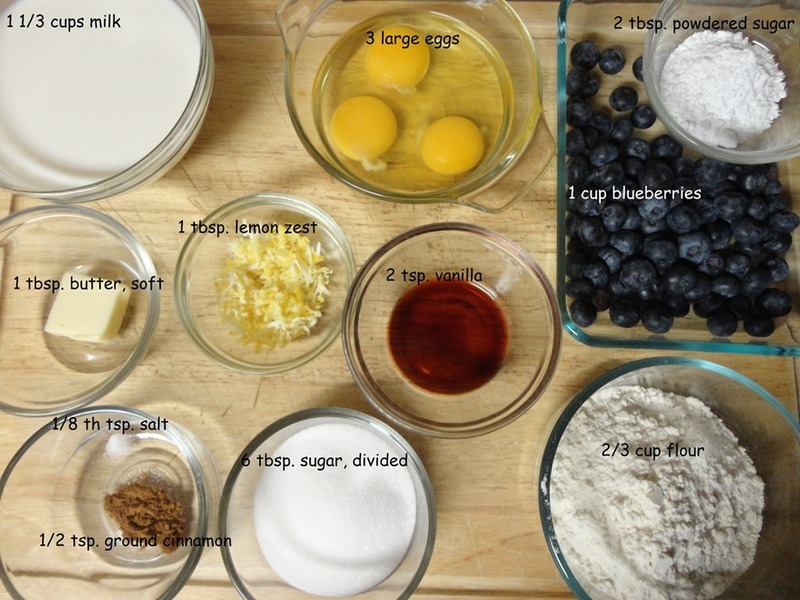 This entry was posted in Dessert and tagged blueberries, Blueberry, Butter, dessert, French fries, Lemon Zest, Powdered sugar, Sugar, Tablespoon, Zest. Bookmark the permalink. This looks delicious! 🙂 I have a question for you. Can you email me: aguywithoutboxers@gmail.com ? As soon as possible, please! Thanks! Much love and naked hugs!